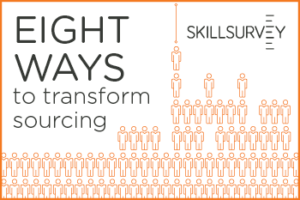 Sourcing skills are in high demand. And why shouldn’t they be? Finding the best candidate for every position in the current market can be challenging. What is the best way to design recruiting practices that work across a broad generational range? How can we ensure our recruiting practices aren’t biased? What are the best strategies and tools to help us build a stronger talent pipeline for future staffing needs? Discover eight trends we think are changing how organizations find top talent today. Download the whitepaper to see how innovative sourcing professionals are making every connection count.